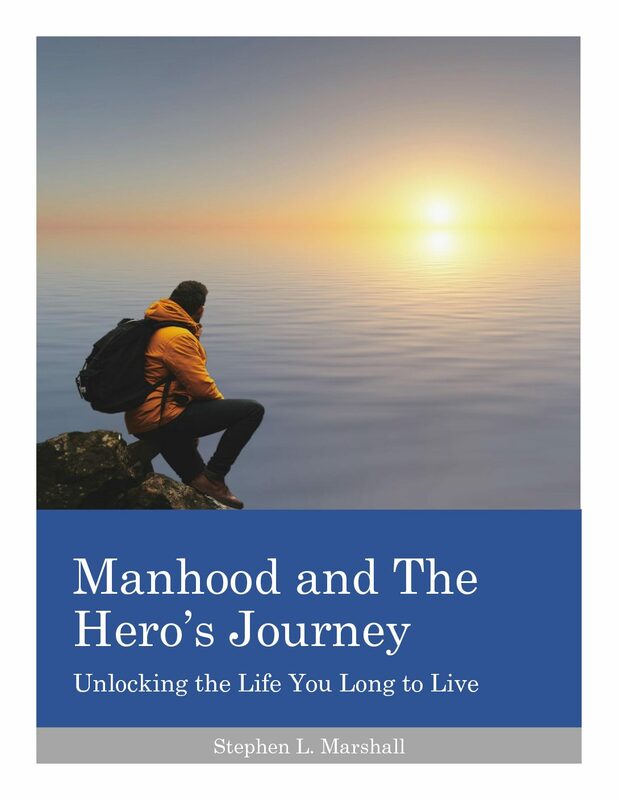 If you’ve read Manhood and The Hero’s Journey, you know that there’s a difference between being a good man and being good at being a man. Being good at being a man requires us to embrace and develop our masculinity; being a good man requires us to embrace and develop certain moral values. One can be a good man without being good at being a man, and vice versa. However, my goal is to be both. These are the values and traits that define a good man and one that is good at being a man. That’s not to say that all of these values are uniquely male. In fact, many of them are also values that exemplify a good woman. Thus, you might have many of these values and not be a man, but you won’t be a good man if you don’t have these values. No man will perfectly live up to them, but every good man strives toward and seeks to grow in them. A man is physically strong. He builds his body to be able to lift, push, pull, and throw heavy objects. He is able to withstand and endure. Physicality is part of his being. It’s not the whole, but it is a part, and it is important. When combined with his courage and toughness, a man is not easily taken down. He may be defeated physically, but it will not be done easily. “You may beat me, but you’re not going to like it”. A man is mentally strong. He does not feel sorry for himself. He does not adopt a victim’s mentality or blame others for his shortcomings. He does not shrink from obstacles, opposition, or adversaries. He rises to the challenge. His mind and soul enable his body to achieve more than he thought possible. A man masters his emotions. He doesn’t hide them or pretend that they do not exist, but they don’t rule him. They empower him and give expression to him, but he remains their master. A man is knowledgeable. He loves to learn and to understand the world. He admits his need of learning. He admits his ignorance when it exists, and pursues to remedy it. A man challenges himself. He is never content for the long term with his position. There will be seasons of growth and seasons of rest and vacation, but a man will not live forever in rest/leisure/vacation. While the source of his challenge may change, he embraces challenge and fights to improve. A man is brave. He is courageous. He is not without fear, but he will not let fear win. He will either win or go down fighting. When the battle is noble, he will run to it. A man takes responsibility to protect. He doesn’t outsource this task. He is a protector of his family and of the weak. He builds the strength and skills necessary to protect. A man is forgiving. He is quick to overlook the mistakes and poor choices of others. He follows the guidance of Marcus Aurelius to “be strict with yourself and tolerant of others”. He is not naive. He is not blindly trusting, but he will forgive and will look to find the good in others. He holds himself to a higher standard than that to which he holds others. Doing so while rejecting arrogance will always be a work in progress. A man judges others. He evaluates them. He is not hypocritical and, in keeping with the previous maxim, does not judge them more harshly than he judges himself, but he does judge. He understands who is trustworthy and who is not, who is productive and who is lazy or unfocused, who is strong and who is weak, who is skilled, who is loyal, and who is good. He is kind and he is merciful with those who are striving to grow and improve, but he renders honest judgments. A man is confident. He will not allow the haters, the critics, or the cynics to hold him back from his dreams, the things he should do, or from achievement. He will look to learn from others, and will give honest consideration to the criticism of others, but will not be held back by the haters. This does not mean that he will believe in himself irrationally. Instead, he will take action to acquire the skills, knowledge, and abilities required to allow him to live confidently, knowing that he can meet the challenges of life. A man is wise. While wisdom accumulates over time, each man is wise to or beyond his years. He knows when to apply the rule and when to apply the exception. He is quick to seek counsel. He is reflective. He contemplates. He is not rash, but does the deep work of thinking that allows him to understand people in his life and the times in which he lives. A man takes care of his body. He will get good sleep, he will rest, and he will take vacation. While he will sacrifice of himself and his needs for others, he knows that his highest and best use is as a leader and servant of others. He will keep his cup full so that he can fill others. A man cultivates joy. He will lead his family on an adventure. He will do fun things with his friends. His life will be a joyous adventure. It will not be a slog. There will times where he has to grind, where he has to put his head down and push through. There will be times of suffering, but he will always find joy in life. A man enjoys and appreciate good food. While manhood isn’t necessarily about matters of taste and interest, I’ve yet to meet a man who doesn’t enjoy good food. A man shall not be ruled by his appetites, but he will let himself enjoy good food and will make it an integral part of his life. A man seeks to learn from everyone, even his adversaries. Ralph Waldo Emerson noted that “every man I meet is my master in some point, and in that I learn from him”. A man realizes that he is neither the epitome nor the source of all knowledge, and that the world is full of smart, wise, experienced, and talented individuals from whom he can learn. In many cases, these individuals will be his adversaries, people with whom he has fundamental disagreements. But he is still able to consider their thoughts and learn from them. A man advocates for his values relentlessly and courageously. He will not cower when opposed. He will not be bullied. He will not shamed. He will stand. He will use wisdom in his advocacy always and kindness where appropriate, but he will stand. What’s more, he will push forward. A man invites disagreement. He does not require others to subscribe to his opinions and positions. He does not require others to either hold his same values or apply them in the same manner in order to associate with them. He allows others the space to be their own people and to hold their own opinions. He does not cut ties over trivial disagreements. He looks for areas to unite and maintain friendship and association. Otherwise, he will be alone. There is no other person in the world with whom he will agree exactly on all issues. So he embraces disagreement and recognizes that it is a reality of friendship. This holds true even within his own family. He does not force his values or applications on his wife, but rather seeks to persuade her, while thoughtfully considering her attempts to persuade him. The same goes for his children. He will model and lead in his values, with strength and without apology. A man is willing to change his mind. He has what Marc Andreesen calls “strong positions, loosely held”. When he is shown that his positions or opinions are irrational or not supported by the evidence, he will consider and make the appropriate changes. He will not cling to positions out of pride or ego. He will appreciate being educated, as he loves learning more than winning the argument. A man takes charge of his life and lives his life with intention. There are times of darkness, desert, wilderness, of drifting and lack of clarity. But a man always pushes forward and refuses to be content with the drifting. He is always looking to clarify his vision and values, his plan for execution his vision, and is always evaluating his execution and application of the plan. A man leads his family. He takes responsibility for the values and vision of the family, the plan for achieving the vision, the execution of the plan. He works with his wife and children to develop the values, vision, plan, and execution, but the buck stops with him to ensure success. He may see that the wife or children are better equipped to lead in a certain area, but if there is failure, it is his fault. A man seeks out relationships with other men. He values solitude, but at the same time recognizes his need for accountability, inspiration, instruction, wisdom, counsel, encouragement, rebuke, fellowship, brotherhood, challenge, and fun that can only be provided by other men. A man cares about his reputation. He seeks honor. He doesn’t live and die by the responses of others and doesn’t allow himself to be manipulated by others. But he finds men of esteem and honor, and seeks honor of his own among such men. He does not expect to be given respect without earning it through his actions. A man values solitude. He values relationships with others, and will ensure that he spends sufficient time with his wife, children, and friends, but will also schedule times of solitude for reflection, concentration, and introspection. A man is tough and resilient. Knock him down and he gets up. He doesn’t quit because the task is hard. He doesn’t avoid resistance when it’s necessary to his goals. He embraces it and allows it to strengthen him. A man honors the past, but adapts to change. The traditions of his country and his family deserve respect for having created and maintained success over the long haul. However, the man knows that everything changes. Thus, he doesn’t cling to tradition for tradition’s sake, but rather opens his mind to new possibilities that might better fit the changing world. A man is thoughtful. While he is open to change and to new possibilities, he is not flaky. He doesn’t pursue the new and shiny on a whim, but rather does so after contemplation and reflection, concluding that the new is best because it will work, not merely because it is new. A man produces. He creates value where there was none. Whether that’s by carving a boat from a tree or creating new code or software, a man produces. He doesn’t merely talk, dream, or muse, he does, he moves, he acts, and doesn’t stop until value is created. I do not claim this to be the exhaustive list of values for men; but here’s what I do claim: If you live this list well, you’ll be a hell of man, and I’d be glad to have you on my team.